How did Fr. Albert Hauser end up at St. Benedict’s Abbey? The Benedictine priests were Fr. Albert’s first connection to the Abbey. His second connection was Camp St. Maur, held on the Maur Hill campus each summer. He attended the camp and later became a counselor. Already a fan of Atchison, it was easy to choose St. Benedict’s for college. His first year there was 1951. Being in the constant presence of Benedictine monks stirred a stronger yearning for their way of life. 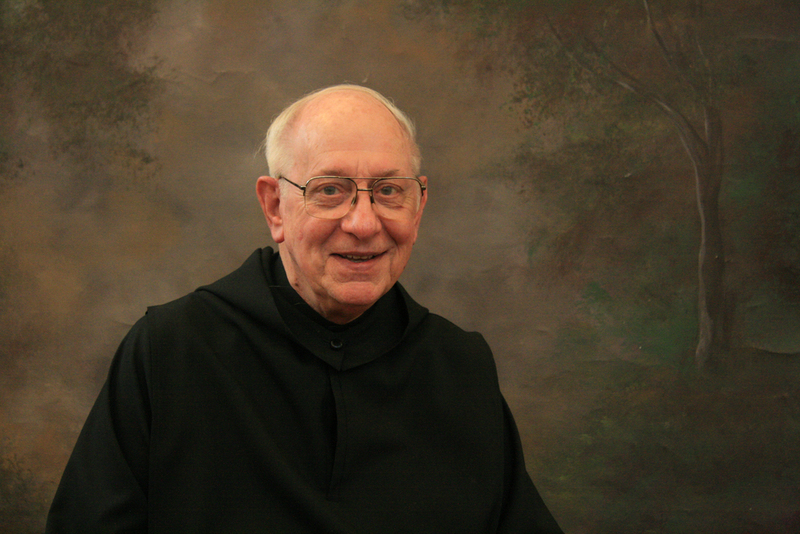 He soon entered St. Benedict’s Abbey and professed vows on July 11, 1954. The vow of stability in its comprehensive meaning, for Fr. Albert, includes maintaining stability in prayer, in faith, in works, and in the Benedictine mission as a whole. Living out the vow of stability outside the monastery is a humble acceptance of God’s will and a duty not only as a monk but also as a member of the Church. Remember how Fr. Albert was first introduced to the Benedictine way of life ­— by the Benedictine presence in his parish. Fr. Albert said it best: religion boils down to a relationship between Jesus and us. That relationship is manifested in a commitment to follow God’s will, to receive his graces in Mass each week. Fr. Albert’s experiences in parish ministry have taught him this and the overall value of living out Benedictine stability – even if he has been called to do it away from the monastery!